Working in collaboration the pair produced scenes that depict different figures of authority and how they exert influence. Sarah created needle-felt versions of six different creatures using Neil’s sketches as reference. These figurines were then placed in diorama boxes painted by Neil. The work will be displayed as part of a mural that ties the individual pieces together into one larger story. 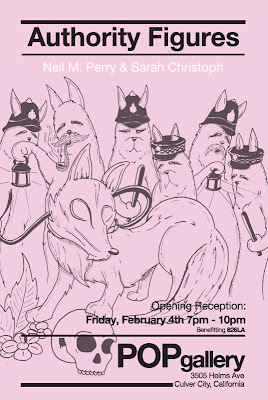 In addition to these unique items the show will feature new drawings and paintings by Neil as well as a number of screen-printed items. Sarah is an East Coast transplant with a degree in fine arts from the University of the Arts in Philadelphia. She has lived and shown in the Los Angeles area since 2005. 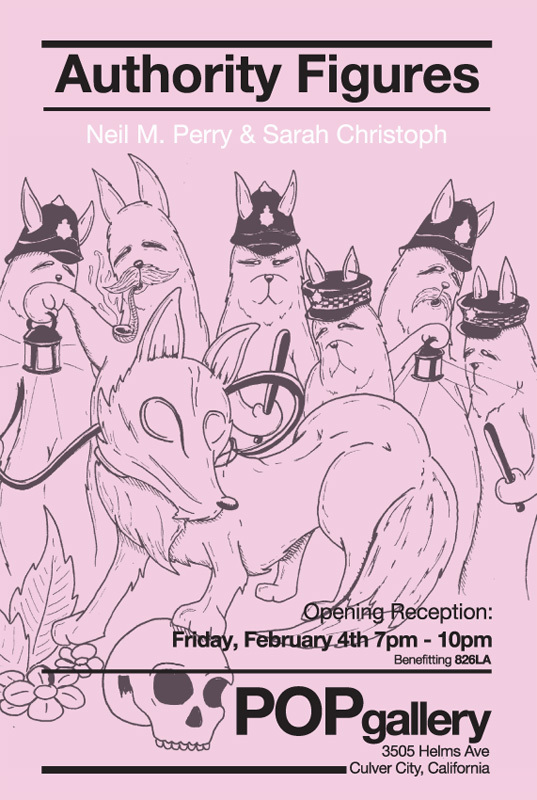 Opening Reception - Friday Fourth of February, 7pm-10pm.